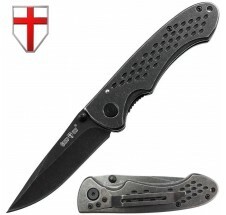 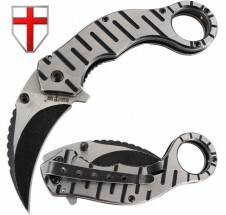 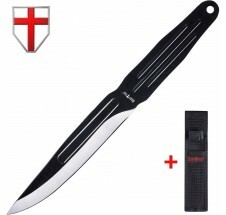 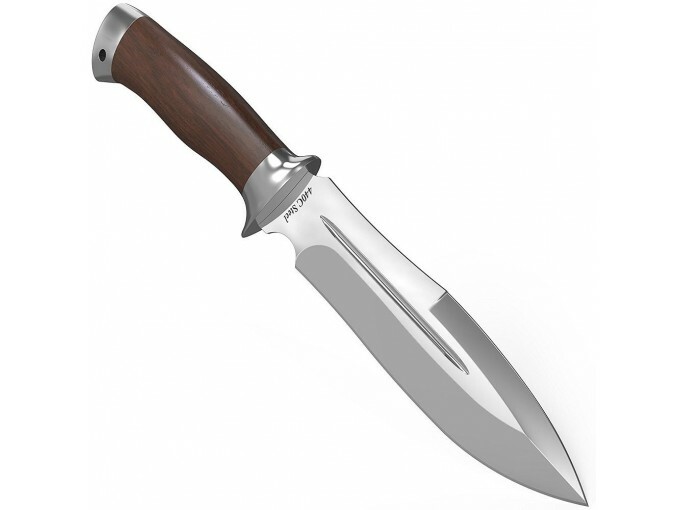 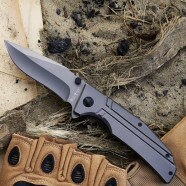 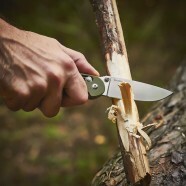 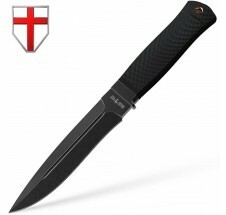 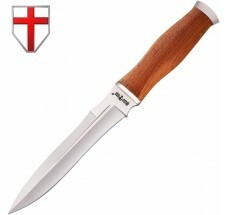 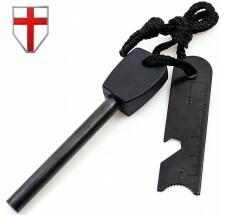 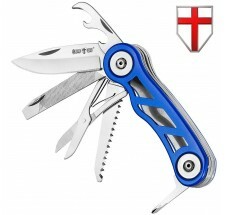 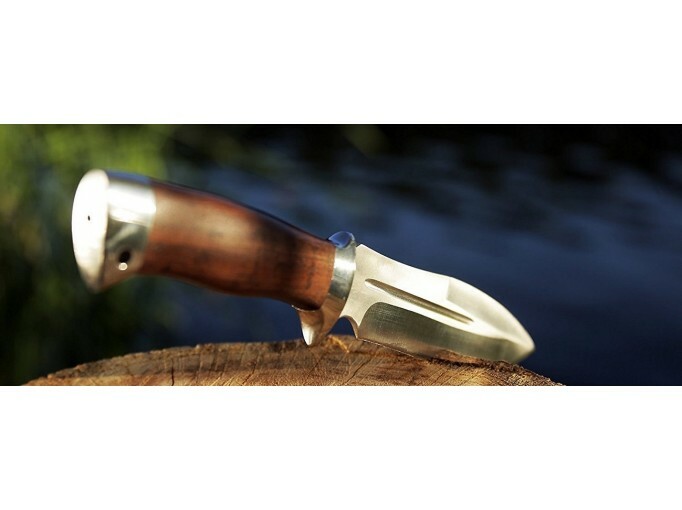 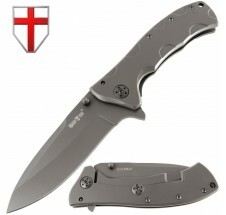 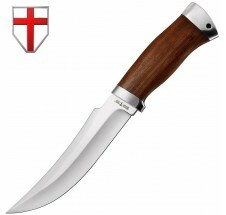 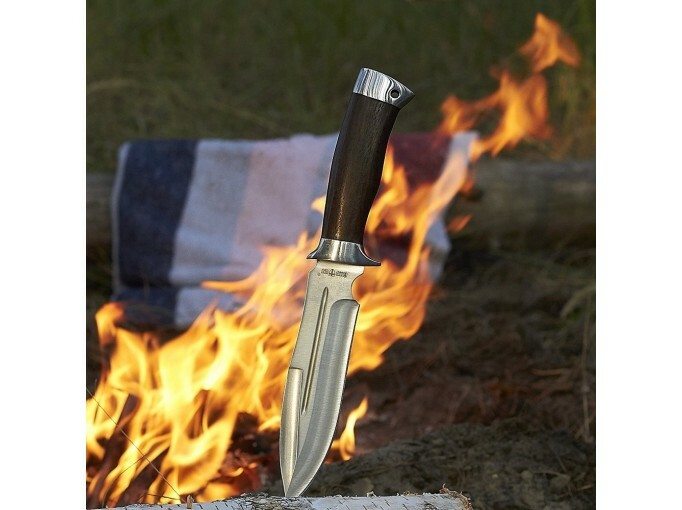 FIXED BLADE - provides superior control, and greater down pressure when cutting. 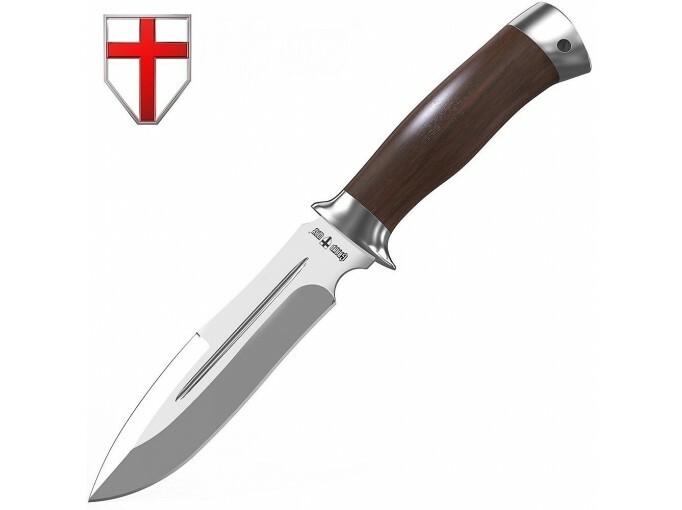 440C STAINLESS STEEL - meets all the requirements for corrosion resistance and the ability to retain the properties of the cutting edge of the knife and stays sharp for a long time. 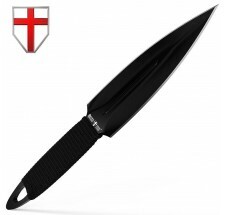 SPEAR POINT BLADE - good transverse stiffness, due to a bend of the spine line and a false edge up to the half of the spine as well as the central fuller, made just above the middle of the blade. 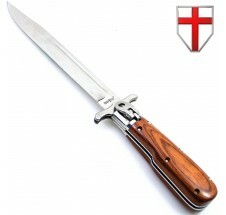 NATURAL WOOD HANDLE - provides the necessary stiffness of the handle and warm, practically "living" surface. 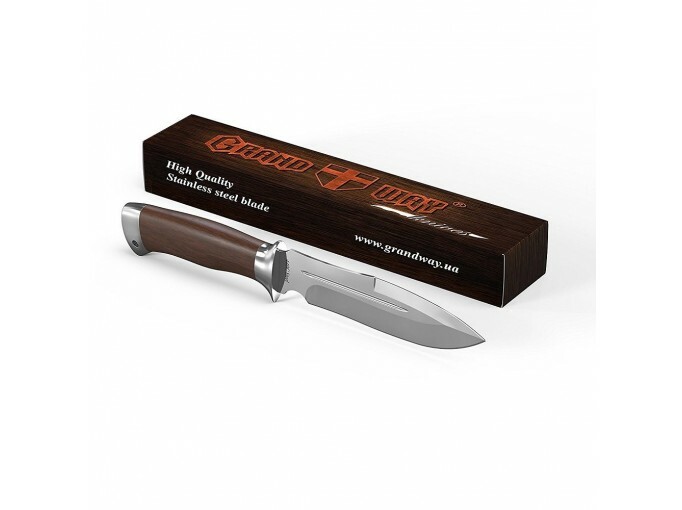 100% MONEY BACK GUARANTEE - rest easy because your knife is protected by Grand Way 10 year warranty. 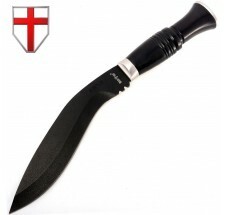 The blade of GrandWay knife is a pure Spear Point (spear-shaped) with a bend of the spine line and a false edge up to the half of the spine. 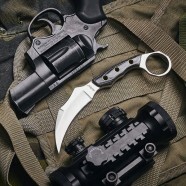 It gains something from bowie and tactical knives. 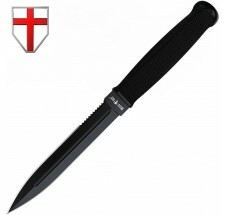 The blade has pretty good transverse stiffness due to false edge and the central fuller, made just above the middle of the blade. 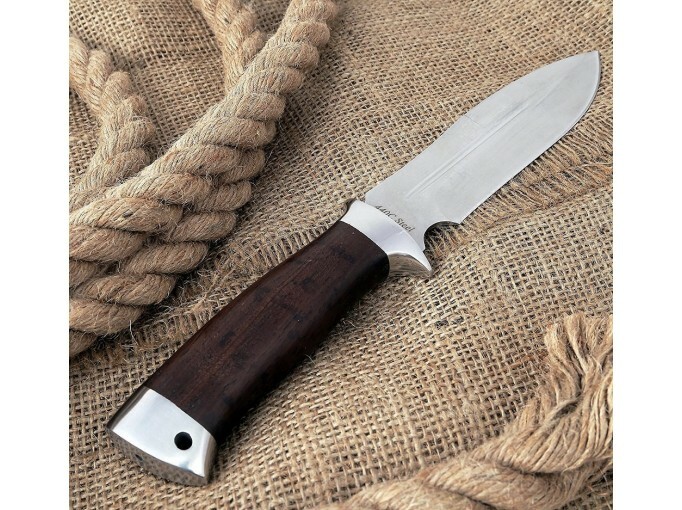 The material from which the blade is made is the time-proved classic knife steel 440C, which perfectly resists corrosion and stays sharp for a long time. 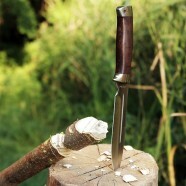 The knife has very good cutting properties. 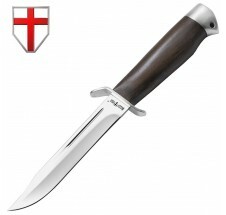 The handle of the knife is made of natural dark rosewood and is protected with a steel bolster and the same pommel to avoid destruction. 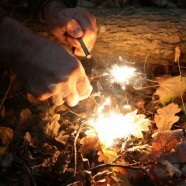 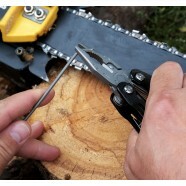 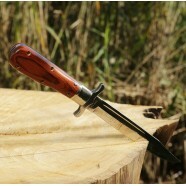 The size of the handle without any problems allows you to work with a knife in the glove in winter. 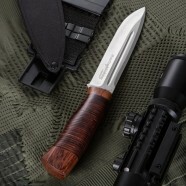 The knife is made using a through assembling scheme. 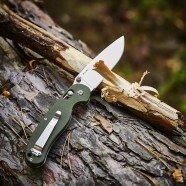 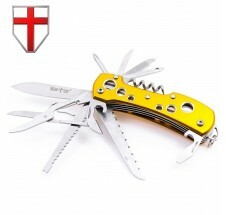 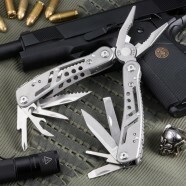 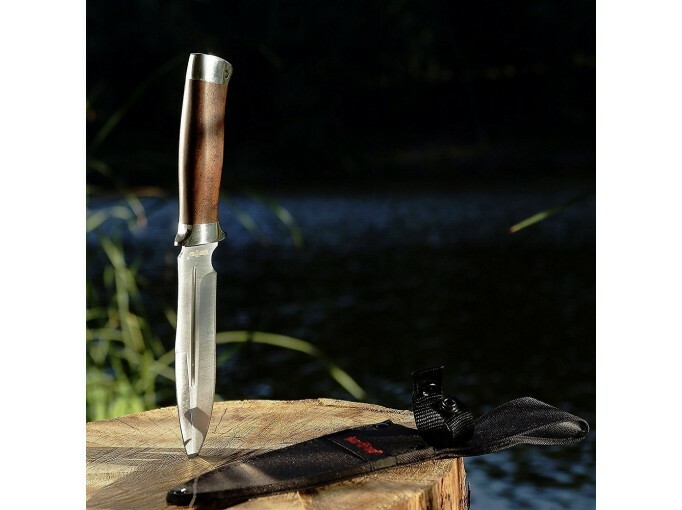 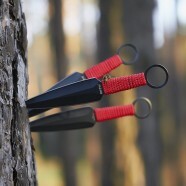 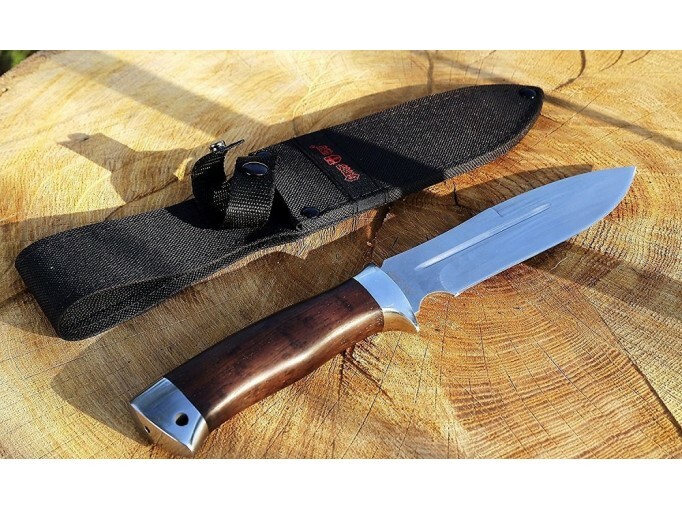 This increases the overall stiffness of the knife and widening the range of its application in hunting, camping, military area, rescuing, skinning, emergency, survival, scouting, fighting and other outdoor purposes. 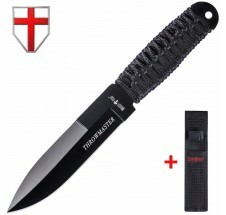 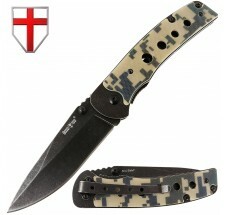 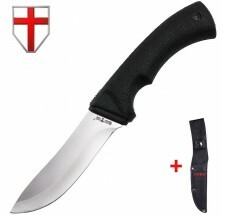 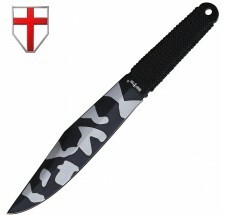 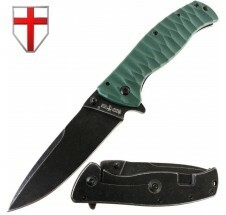 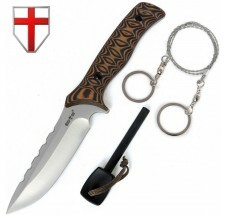 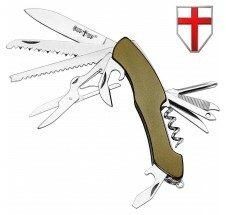 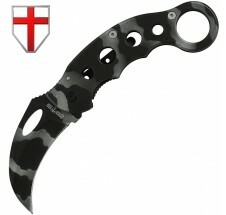 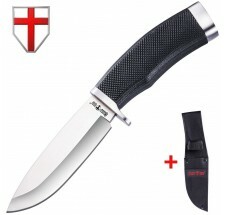 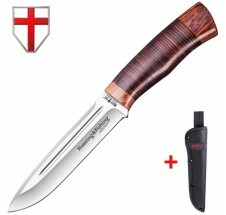 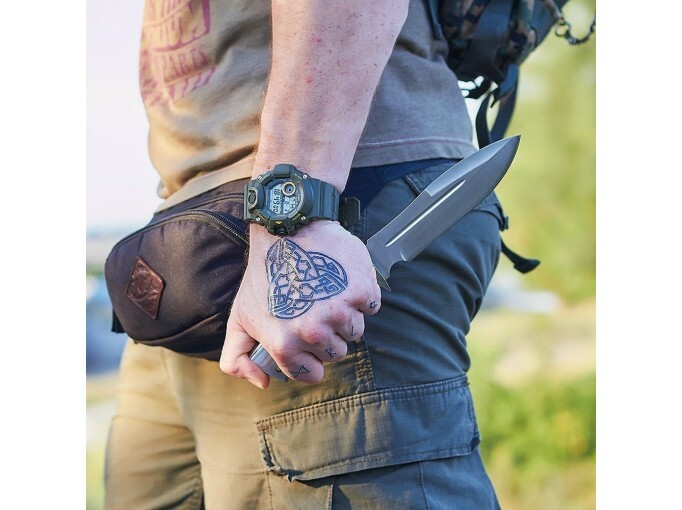 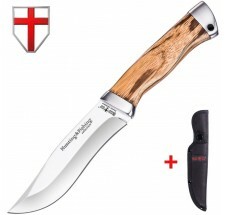 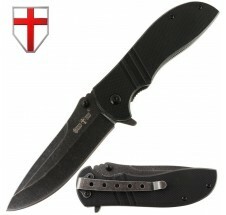 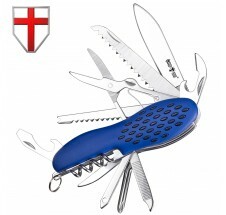 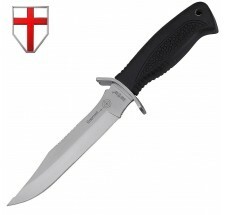 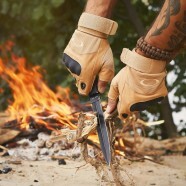 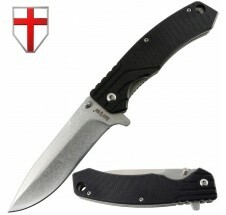 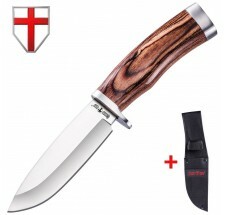 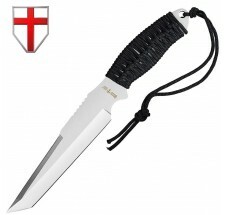 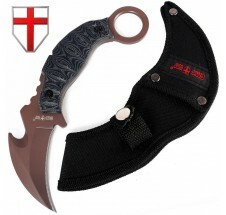 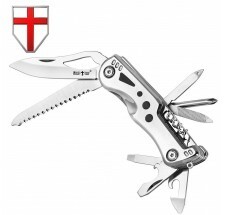 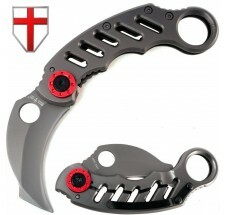 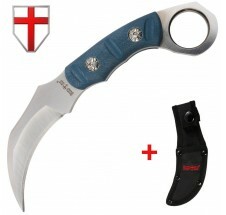 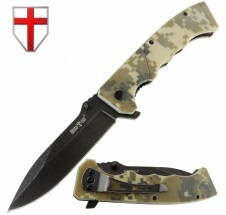 The knife is supplied with belt-worn sheath made of nylon "cordura". 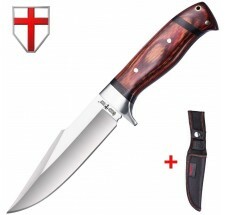 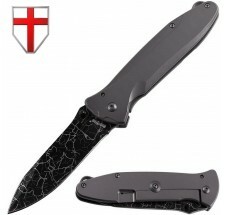 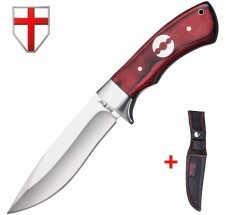 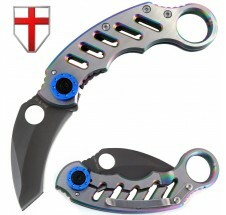 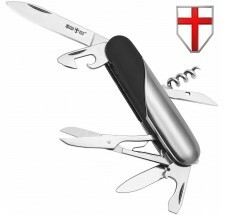 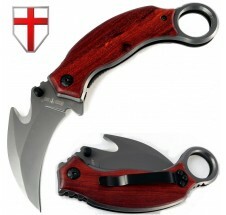 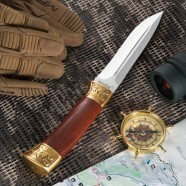 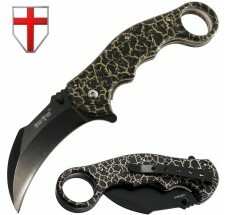 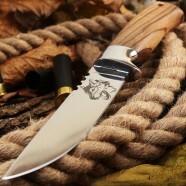 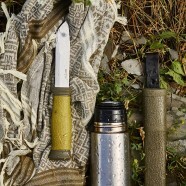 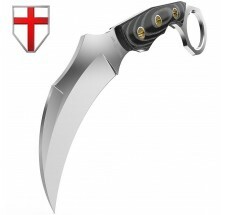 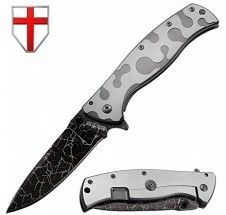 This knife organically combines the magnificent design work and high consumer qualities. 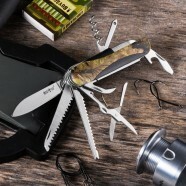 It could be the best gift for birthdays, men days, any date or occasion to make nice to your dad, father, brother, co-worker, boys and guys.